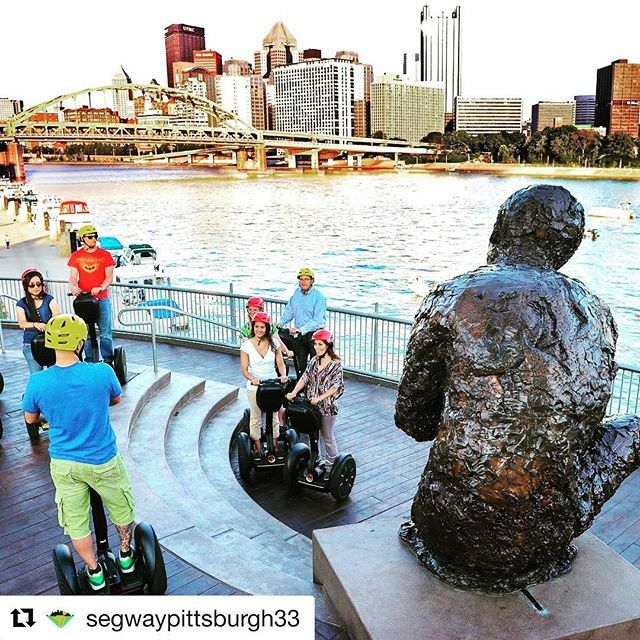 Taking in the amazing river views while out and about on a segway tour in Pittsburg PA USA Segway tour of the day! . Visit the Mr.Rogers Monument on our North Shore tour.